In the hugely competitive world of online poker, it’s almost impossible to find a site that doesn’t offer a wide range of bonuses and promotions. The sites are in desperate competition to attract players and for that reason, they have to try to outdo their rivals when it comes to providing incentives. When players join a site there is almost always some kind of sign-up bonus to help get started. From then on, there are weekly and monthly promotions, VIP schemes and various special offers. If you choose to play at the sites with the best offers you will have a great chance of kick-starting your online poker career by developing a bankroll with gifted money. Here is an in-depth analysis of the offers found online to help you pick out the best ones. Knowing the best starting hands to play in poker is only one element to being successful when playing online. Before you get started, it is wise to find out where the best sign-up bonuses are. Sign-up bonuses have become synonymous with online casinos, bingo and poker sites and for new players can essentially expect access to some kind of deposit bonus. These deposit bonuses give players a chance to test out a site without risking their own money at first and can be a good way to start building up playing money. Using comparison sites can be a good way to find out where the best bonuses are. For example, Oddschecker has a list of where the best bingo bonuses are, as well as summarising online casino bonuses and offers. Some of the bingo sites are offering players the chance to deposit £10 and play with £40, which is just one of the ways they entice players to play there. Online casinos and poker sites provide similar types of deals. When taking advantage of any of these offers it’s important to read the terms and conditions first. There are often a lot of extra, hidden details in the small print. For instance, the free money isn’t exactly free and you won’t be able to withdraw it immediately. Any deposit bonuses will have to be played with first and often need to be staked again a number of times before the player is able to withdraw anything. The terms and conditions refer to this as a wagering requirement. Another thing to watch out for is how to actually activate the sign up bonus. You may need to select a certain box when you fill in your details or type in a special code in order to be eligible for the promotion. This is why it always pays to read through everything carefully. One way to get off to a strong start in online poker is to join a number of different sites and make the most of all the various sign-up offers. A clever way to do this would be to deposit the minimum amount required to receive the bonus and then play with that money until you are eligible to withdraw it. You could then take those winnings and sign up at a different site, repeating the process. Over time, this technique will help you build up your bankroll. The sign-up bonuses are one of the first things a site will offer to attract players. But once those players have joined, the site then needs to try to keep them playing there on a regular basis. For them to do this, there are often weekly and monthly bonus schemes and they change on a regular basis. Looking out for free tournament tickets and free-to-play events that lead to entry in cash tournaments is a good way to progress further in your poker career. Tournament play is the best way to transform a small stake into a large amount of cash. When starting out in poker it’s a wise investment to enter some low stakes tournaments to try to get good returns. Using free tickets for tournaments has the same effect and if you win from one of these tickets you usually get to keep the cash. Free to play events often end with the winners receiving free tickets to use in tournaments where the stakes and prize pools are higher. Sometimes it is just a case of checking back regularly at a site to see if there are any promotional codes. These can often be redeemed for cash to use in poker games. Hunting down the best special offers is not just a way to get into poker but also a way to get better at it. It will lead you to play at numerous different sites and face an extremely wide range of opponents. The best sites in the industry always have different special offers available and these represent an incredible opportunity to get some free playing money or other bonuses. And the more you practise, the better you get. One example of a current special offer at 888poker is the Wild Hunt challenge, which is running up until December. Each day there are two Wild Surprise Tournaments for players to sign up to. Once the tournament starts, the secret prize pool is revealed. To get tickets to take part in it, players simply need to complete daily challenges. 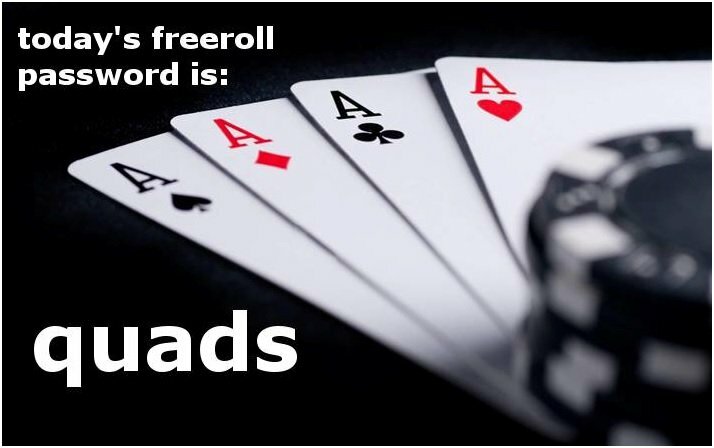 Poker sites will often use themes such as this to attract players to various competitions. For example, in October we have seen numerous Halloween offers, in preparation for the spooky holiday. Along with special tournaments and events, there are also competitions to win merchandise or holidays. At PokerStars, the site is offering the chance to go on holiday to Las Vegas, the home of the World Series of Poker. This would be most poker fans’ dream holiday and actually taking part in the WSOP is the ultimate goal. The annual competition attracts a high number of players from all over the world, and this year’s competition began with 7,874 players, until John Cynn ultimately topped the pile. If you want to get to the stage of playing in that tournament, you’ll have to spend a lot of time grafting online first. But it’s always a good idea to look out for special competitions giving players the chance to win tickets to go to these major events. VIP schemes are another way that poker sites keep players coming back for more. Most online companies reward the loyalty of their clients and the gambling world is no different. Remember, these sites don’t want you to take your custom elsewhere and look for different bonuses at other sites. For this reason, they realise that they need to keep their players interested and excited by providing benefits for repeat custom. A lot of poker sites nowadays allow players to accumulate points as they play. The more games played, the more points added to the tally. These points are structured in levels and the players climb up the rankings to earn extra bonuses and rewards at each level. Sometimes, this comes in the form of gold tokens which can then be redeemed for prizes including merchandise and cash to spend on games. 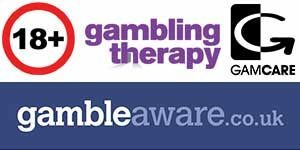 VIP users are also eligible for daily free rolls and scratch cards at some sites. So while it is a good idea to join numerous sites and exploit them for their bonuses, once you have done this it makes sense to stay loyal to the site which has the best reward scheme for regular users. Playing poker online is an incredibly fun experience, but it can be made even more enjoyable and rewarding when you manage to build up a solid bankroll. By making the most of all these promotions, you can maximise your chances of being successful.